Tony Tahhan » Blog Archive » What’s life without the occasional dunk? Home » What’s life without the occasional dunk? 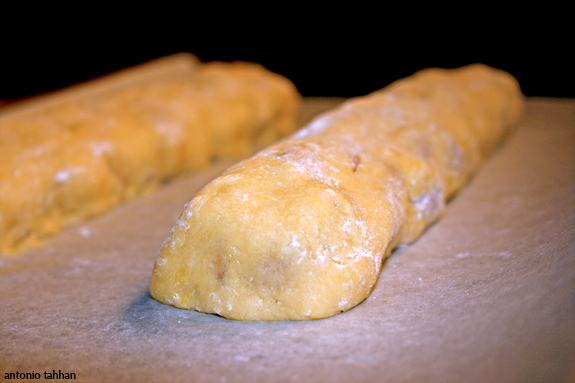 Posted in cookies, desserts, Italian, recipe by Antonio Tahhan on March 6th, 2008. You can follow any responses to this entry through the RSS 2.0 feed. You can leave a response, or trackback from your own site. 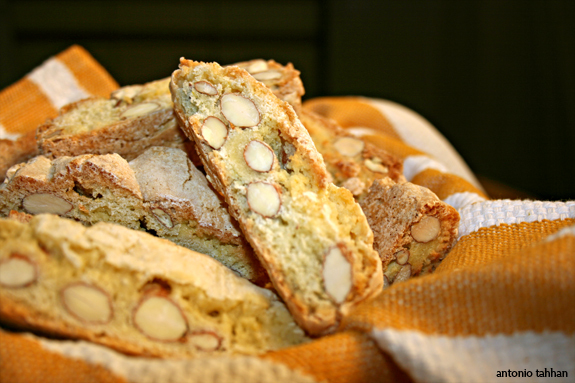 The Biscotti were really yummy, i’ve always looked for an easy way to make these delectable cookies and now i’ve found it. I made them for a dinner party lets just say the temptation to munch on these cookies didn’t hold them back for having seconds and thirds. Thank you very much, keep up the amazing work. Esos biscottes, tienen una pinta estupenda. Antonio, tienes un blog precioso,y muy interesante, tu receta de ali-oli es muy original, te la voy a copiar en breve , ¿vale? 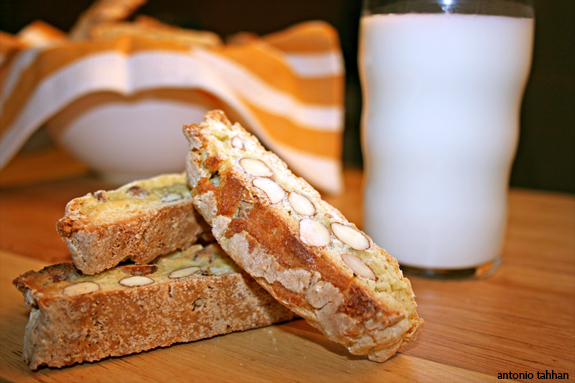 These biscotti are so good! I wish I had some now. I hope all is well. Ciao! Hi Tony! 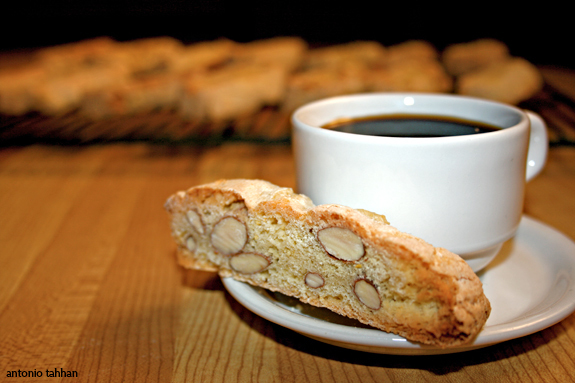 I just clicked to your blog from tastespotting, and am definitely making these biscotti. I’m so excited about ATOM too…Sacha and I might try to make cilantro pesto! Hope you have a wonderful graduation and if you need any restaurant recommendations for DC, let me know! The Biscottis taste lovely, but i’m not sure i will make them again.. Well, first of all, i think the quantities may be wrong.. the dough was too wet in my opinion and terribly sticky.. i dont mind getting my hands dirty but the dough acted like a superglue making it impossible to form it into anything! I had to add some more flour but even that didnt help a lot.. took me a while to make something that resembles logs.. Well, but that’s just the first problem. As i said – they taste nice, but are so hard. I didnt exceed the time in the oven.. Are they supposed to be like that? I was really tempted by this recipe and its a shame it didnt work out the way i expected. Did i do something wrong? Any tricks i should have known? George – I love making these as party favors! I’m glad you enjoyed the recipe! Teresa – Gracias! Si, no hay problema. Dime como te sale la salsa. Franco – You should definitely make some at home!! Hilda – Gracias! Espero q te animes hacerlos, son una de mis galletas favoritas. Mackie – Let me know how the biscotti turn(ed) out!! A cilantro pesto sounds so good, especially now that summer’s here! Restaurant recommendations are always welcome 🙂 Lately I’ve been on the lookout for some really good Ethiopian food… any suggestions? – Every batch of flour has different absorbtion levels, so bench flour (extra flour that is used during the kneading process) is key for the dough to come out right. – In order to avoid really messy fingers, I whisk the eggs (in the well) with a fork and incorporate them slowly into the flour until a semi-solid mass is formed. 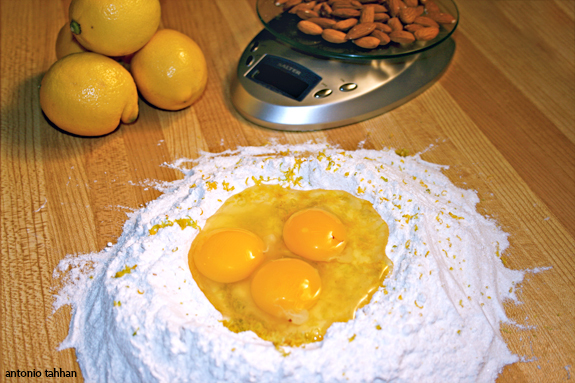 Then I flour my hands, add the almonds and knead it until it all comes together. – These cookies are supposed to be hard because they are twice cooked; but they’re not supposed to be as hard as rocks, for instance. The main culprit here seems to be gluten. I’m thinking that you might have overworked the flour while trying to form the dough. You’re looking for a crisp exterior and a firm interior (but definitely not a break-a-tooth texture). -Personally, I always dunk mine in a tall glass of ice cold milk. This also helps with the texture if you found your biscotti to be too hard. -As for tricks, I like to use the fork during the well method to avoid a big clumpy mess on my fingers. Also, keep flour handy for your work surface and your hands to keep the dough from sticking as much. I hope these pointers help and you get to give these cookies another go. Let me know how they turn out. Tony, thank you very much for answering!